Unrivalled experts in the fascinating world of coins. For the first time in 200 years, a new sovereign design has been sculpted by a member of the Pistrucci family. Benedetto was the designer of the timeless ‘Saint George and the Dragon’, which has appeared on many modern sovereigns. This fantastic gold sovereign has been struck to mark the 200th anniversary of Benedetto’s iconic rendition. Notify me when the product will be available. Yes, I agree for contact via mail with product offer. 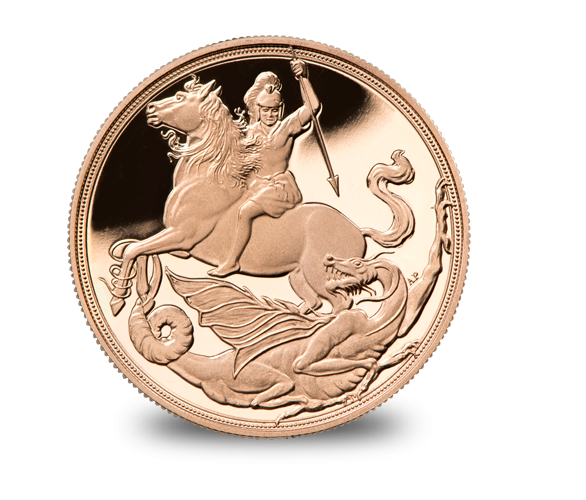 In 1817 the Italian sculptor Benedetto Pistrucci created his masterpiece ‘Saint George and the Dragon’ design for the UK Sovereign. An instant classic, the design has appeared on gold coins issued almost every year since then. 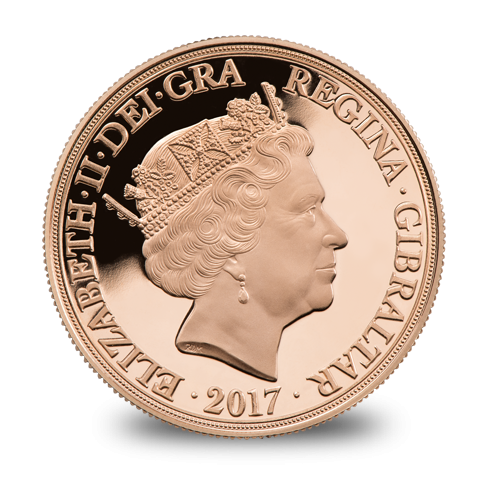 Today, to honour the 200th Anniversary of her great-great-great great uncle Benedetto’s iconic design, Angela Pistrucci has crafted a modern interpretation exclusively for the Government of Gibraltar and the London Mint Office. 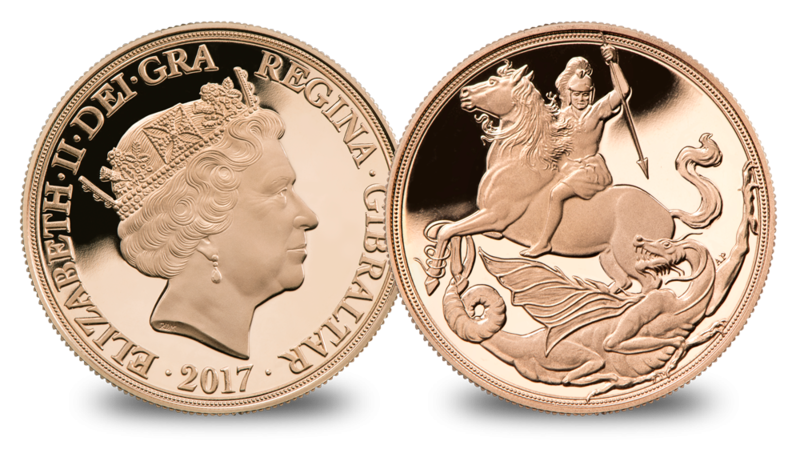 An accomplished artist and sculptor in her own right, Angela has spent two years perfecting the design, and we believe it is one of the most stunning coins we have ever produced. The London Mint Office was established in 2006 and since that time has become one of the UK’s most trusted suppliers of historic, commemorative and collector coins. Part of Samlerhuset Group, one of Europe’s largest coin companies, founded in 1994 and operating in 14 European countries, The London Mint Office is distributor for major world mints including The Royal Australian Mint, The Royal Canadian Mint, The South African Mint, The New Zealand Mint, The People’s Bank of China and The French State Mint.